Active vacationers and nature lovers will find truly great conditions in our region. We have all you need for a carefree summer vacation in the mountains. In the most beautiful sunshine, under deep blue sky: lush green pastures, silent spruce and larch forests, charming river valleys, sparkling lakes, panoramic and high-altitude trails in the midst of rugged rock formations, hiking trails through idyllic meadows and villages – thus, your summer will be great fun and could last forever. You may explore our region all day long on widely branched hiking and biking trails, or even several days, and enjoy pure summer pleasures with awake senses. Do not forget your hiking boots; bring your mountain bike or bicycle, and your swimsuit. Whether you want to go for a walk in the Isarco Valley or breathe in the crisp mountain air on the Alpe di Rodengo is entirely up to you. 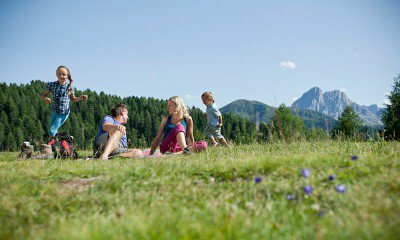 Visit the picturesque Fane Alp, enjoy a stroll in Bressanone or visit Mount Plose. The summer brings you endless possibilities. 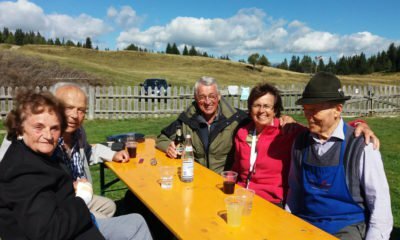 Furthermore, the AlmencardPlus offers you many advantages for a variety of tourist attractions, which are free of charge. 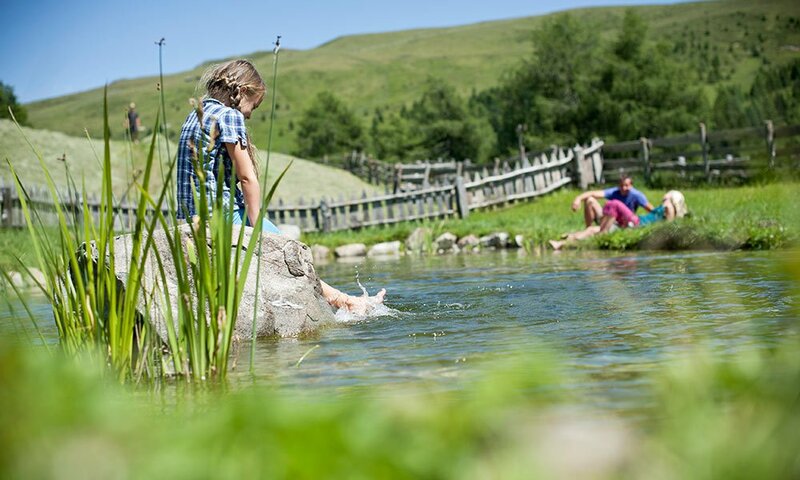 The summer joys in Gitschberg Val Giovo begin already at our hotel: Start with a hearty breakfast into the sunny day, relax on our large lawn and swim a few laps in the outdoor pool. After all, a great summer vacation in the mountains needs a balance between action and relaxation. The next day, you may venture out for rafting on the rivers Isarco and Rienza – or visit the high-ropes course in Issengo. Whatever you have planned – this summer belongs to you!